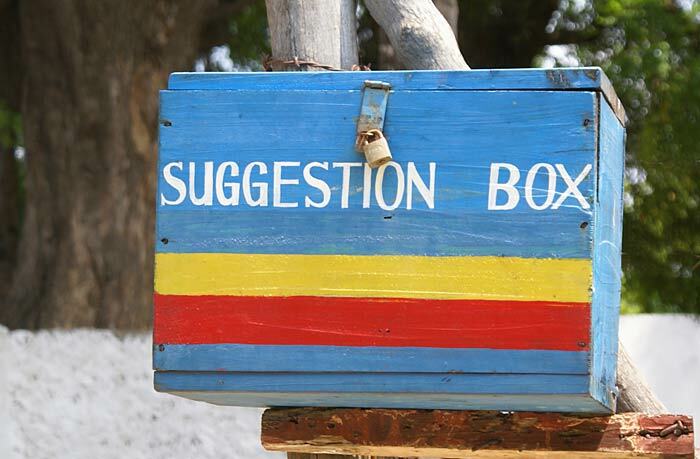 Customer feedback is the most valuable information your business can collect. It tells you what your customers like and don’t like, who your best customers are, and where you are failing. It’s also a great predictor of future success. The real value of customer feedback lies in what you do with the information. Here’s how you can evaluate and act on the info you gather. 1A pattern of product issue dissatisfaction may indicate a problem with your product or simply a problem with your advertising. If you’re over-promising what your product can do, your customers will be disappointed. Before you build a reputation of dishonest dealings, you can fix it by improving your product to meet expectations or by making your messaging align more closely with your product capabilities. Make sure you run your product past a group of beta testers at each stage of release. 2Personal recommendations are powerful. Sending a Net Promoter Score (NPS) survey helps you understand how customers feel about your business, and whether they are likely to recommend your business to others or buy from you again. It can also help you identify your most enthusiastic supporters and detractors. Figure out ways to show your promoters plenty of love, and they’ll become your best native advertisers. Conversely, once you find your detractors, figure out commonalities amongst this audience to see if you can turn them into promoters, or at least minimize the possible damage they might do to your business with negative word of mouth. At a minimum, don’t forget to let your customers know how you are using their feedback to improve your product or business. 3Who knows what they want better than your customers? Take a page out of Frito-Lay’s marketing strategy and ask for input. The Lay’s Do Us a Flavor contest asks consumers for flavor ideas and collects some pretty wild suggestions. Three winners are chosen and their flavors hit the shelves. The contest winners collect a substantial prize, and so does the company. The contest shows how deeply the business values their customers, and the hype surrounding the new flavors raises awareness and boosts sales. 4Small pivots are not uncommon in successful businesses. Companies that use customer feedback to adapt to the market and adjust course are more likely to succeed over the long run. 5Your customers will tell you exactly what you’re doing right, and your future success depends on adding to the features your customers like best. Companies that continually surprise and delight customers build a reputation around their best features, the unique selling points that make them stand out. 6Your customers are always looking for the next thing to grab their attention, and if you don’t know what the next thing is, your competition will. Customer feedback offers insight into improvements your customers want to see, and what they are interested in. If your next offering anticipates their desires, you have a much better opportunity to build customer loyalty. 7By monitoring real time reporting as customers respond to a survey, you can respond instantly to comments and issues, taking customer service to a new level. 8How your customers respond to marketing offers is also a form of customer feedback. If you’re not seeing the click-through or conversion rates you’d like to, you may need to tweak your wording or better target your email lists. Using feedback (or lack of same), you can fine-tune your marketing efforts for higher ROI. Your customers are a gold mine of information, and it’s up to you to monitor and analyze your data to continually improve your business. No business today can afford to stagnate. To be successful in this competitive market, you must be in constant motion, building on your most attractive features and improving your worst.